Anna Weidenholzer was born in 1984 in Linz and now lives in Vienna. She studied comparative literature in Vienna and Wroclaw, Poland, during which time she also worked for a small local newspaper. Since 2009, Weidenholzer’s writings have appeared in various literary magazines and anthologies. Her 2016 novel, Weshalb die Herren Seesterne tragen, was longlisted for the German Book Prize. In 2013, her novel Der Winter tut den Fischen gut was nominated in the fiction category of the Leipzig Book Fair. She published her first collection of stories, Der Platz des Hundes, in 2010. 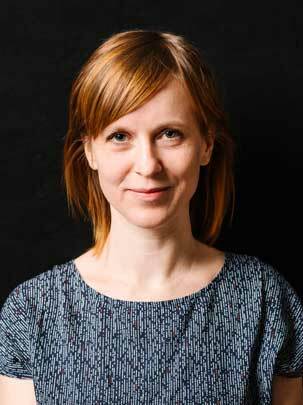 Her recent awards and fellowships include the Robert-Musil-Stipendium (2017), the Austrian government’s Outstanding Artist Award (2017), the Civitella Ranieri Fellowship (2016), and she was a writer-in-residence at New York University’s Deutsches Haus in 2015/16.